The quote above is from a CBC program on the arts called Art Kids, a part of the parent Exhibitionists series, which allegedly celebrates children in the arts. The subject of the piece is a 9 year old boy with the stage name of Lactatia. His “parents” encourage him to dress as a sexualized female child and then pimp him out to adult aficionados of their shared deviance in a sort of “fashion show”. 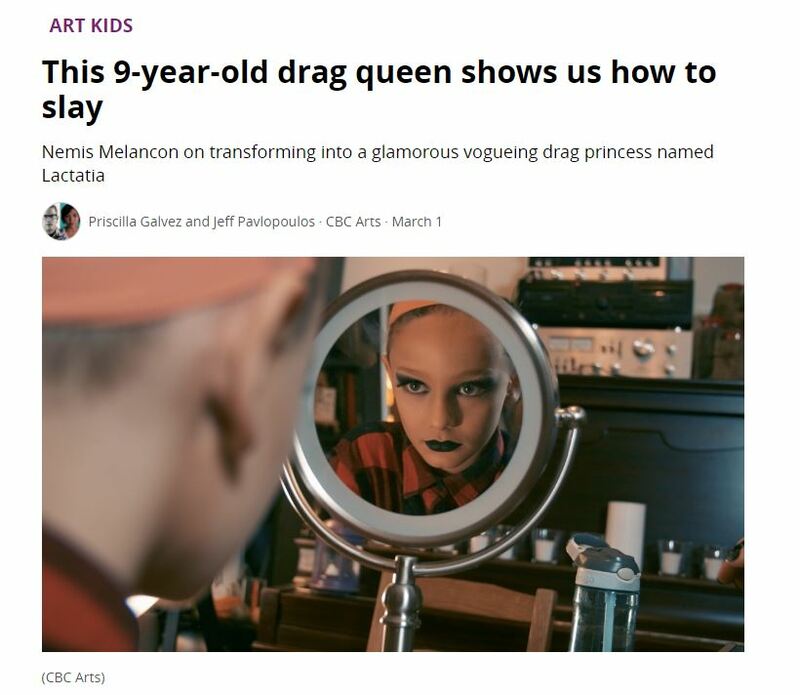 While the normalization of pedophilia may satisfy the bent desires of CBC staff and the Justin Trudeau set I doubt that tax payers will be thrilled to know their money is spent promoting child abuse.